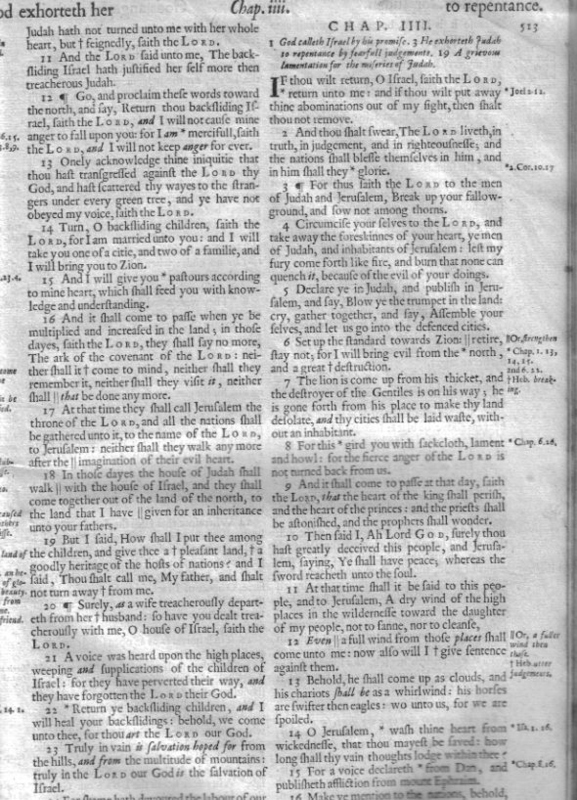 Mr. Schaap has taken TYPOGRAPHICAL errors in the 1611 and presented them as correct readings, leaving listeners to doubt the accuracy of their Holy Bibles. The metal type of the 1611 was set by candlelight, letter by letter, by hand. It would be impossible not to make a mistake, skipping words or letters. But God has preserved his word. And the audience that heard Schaap's sermon had the correct words in their laps. 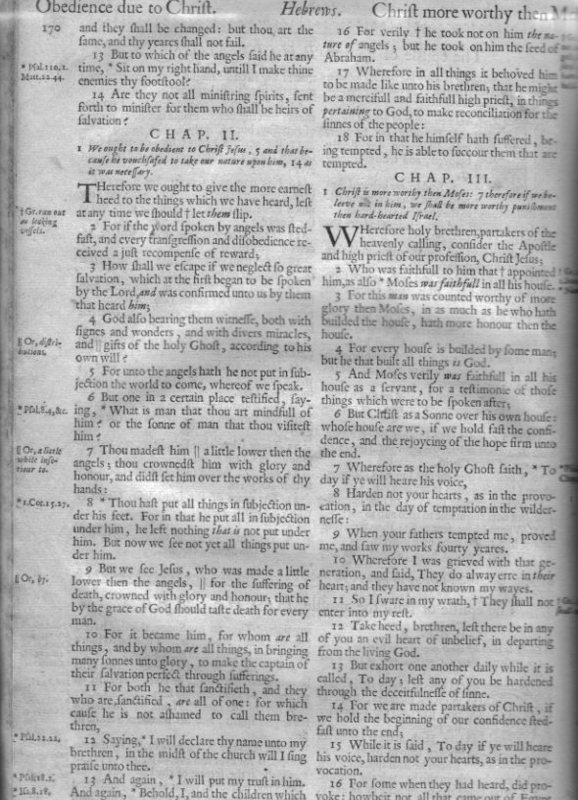 Two of the original KJV translators, Ward and Boise, were commissioned by Cambridge University Press in 1629 and 1638 to find and correct any typos which deflected from the original intension of the translators. The Cambridge 1638 edition is considered the gold standard for that reason. I purchased one last fall so that I could check things for myself. The 1638 matches modern KJBs PERFECTLY, in those places noted by Schaap. In other word, the places he said were wrong in today's KJV are actually correct and match the 1638 done by the remaining KJV translators. I have attached scans of each page for you to see for yourself. I have also attached a scan of the date "1638" seen on the bottom of the title page (see the very last line and the very last word). There are 8 attachments ; you will need to scroll down to see them all. You will also need to magnify them to read the text. 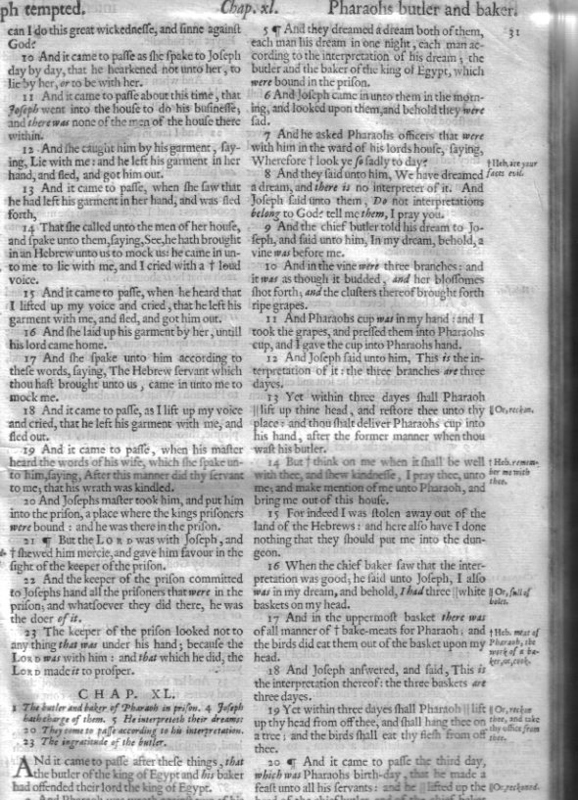 F. H. A. Scrivener's book on the editions of the KJB (The Authorized Editions of the English Bible: Its Subsequent Reprints and Modern Representatives; Cambridge: At the University Press, 1884, pp. 148, 168, 170, 192, and 193) confirms that these were all corrected by 1638. The one in Ezek. 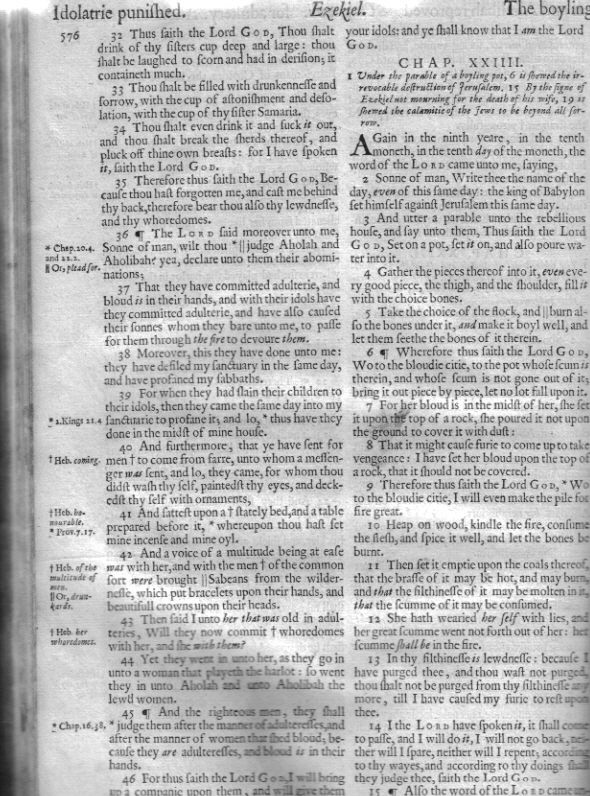 24:7 was corrected in 1613; Jer. 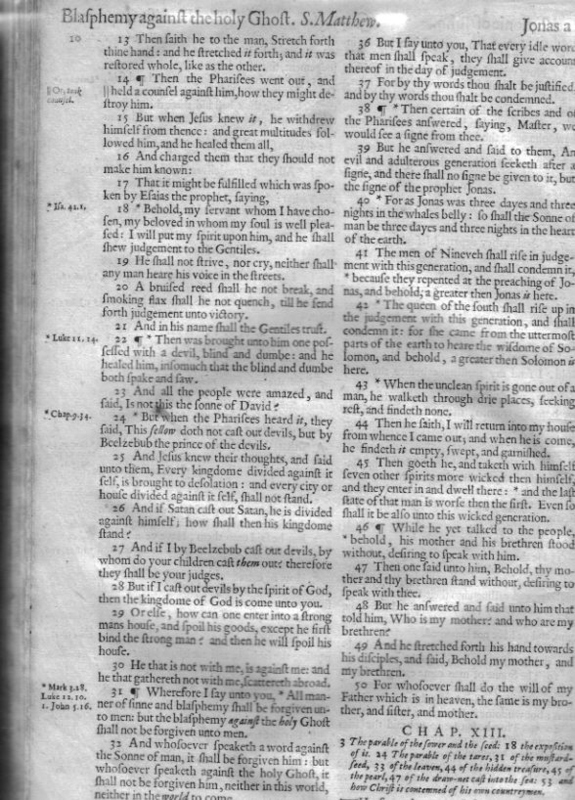 4:6 was corrected in 1629. Schaap's bald error - that his antique copy of the 1611 isthe authority - shows his shallow knowledge of the history of the text. My book, In Awe of Thy Word gives the entire history. He owns a copy but has evidently never read it. In his March 4 sermon, pretending that only he has the true Bible (a valuable antique 1611) he said, "...not a one of you has one but Brother Schaap." That is because God has preserved his word to the people. I also checked all Greek and Hebrew texts in every one of the verses he mentioned. They do not match those typos in the 1611. All of them match the 1638 and the current KJBs in all of those places. If Schaap is pretending that Greek and Hebrew texts are the only preserved final authority, he should have checked those verses before he went and made a fool of himself. Rom. 1:22 says, "Professing themselves to be wise, they became fools..." (Check for yourself in even a crummy edition like Jay Green's Interlinear Bible (e.g. p. 105, 583, 656, 683, 747, etc.). Regarding the capitalization of the word Spirit: Note that the lower case 'spirit' and the upper case 'Spirit' can be used interchangeably. To have differences does not create theological problems. [1 Cor 2:10] But God hath revealed them unto us by his Spirit: for the Spirit searcheth all things, yea, the deep things of God. [1 Cor 2:11] For what man knoweth the things of a man, save the spirit of man which is in him? even so the things of God knoweth no man, but the Spirit of God. [1 Cor 2:12] Now we have received, not the spirit of the world, but the spirit which is of God; that we might know the things that are freely given to us of God. [1 Cor 2:14] But the natural man receiveth not the things of the Spirit of God: for they are foolishness unto him: neither can he know them, because they are spiritually discerned. 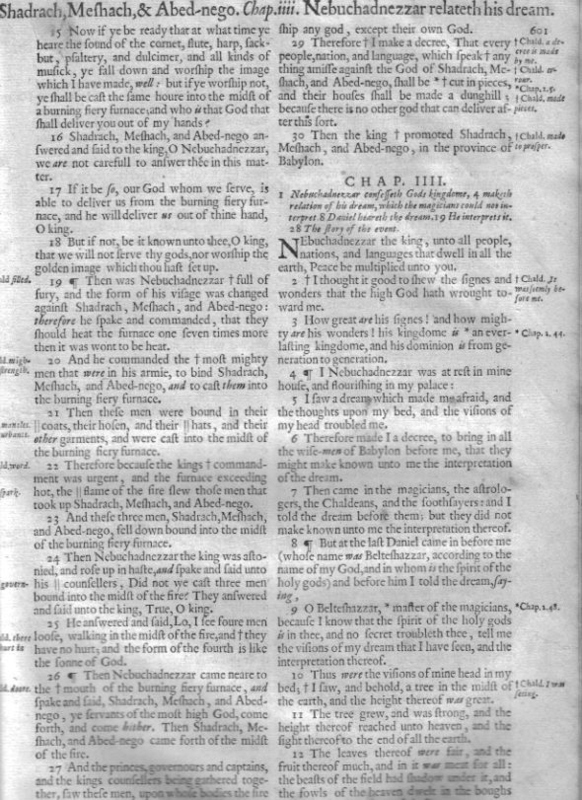 The historic differences in KJV printings which related to the capitalization of Spirit are a result of the West Germanic basis of the English language. Even today in German, substantives are capitalized (e.g. dog, cat...). 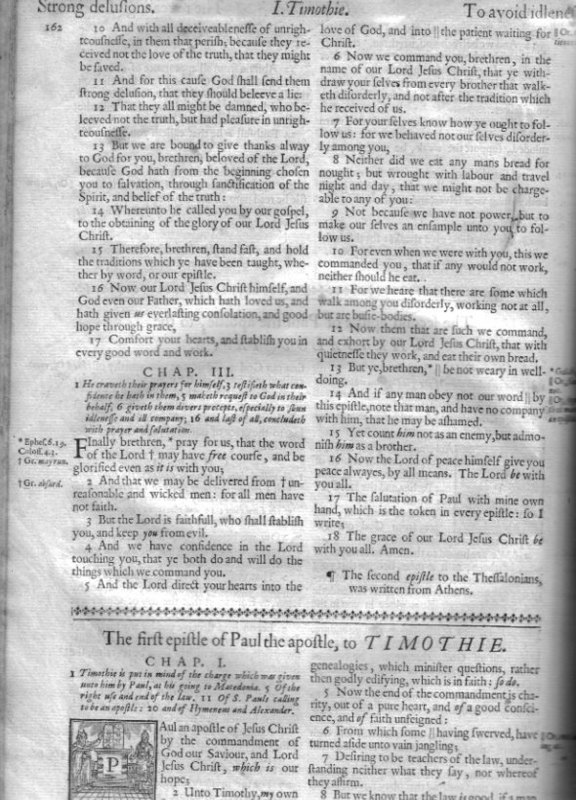 I have studied the 'Spirit' capitalization issue in great detail for many years, looking at old Bibles from Tyndale, Coverdale, Geneva, the Bishops etc. There is a tiny bit of variety. If it doesn't bother God, it shouldn't bother me. 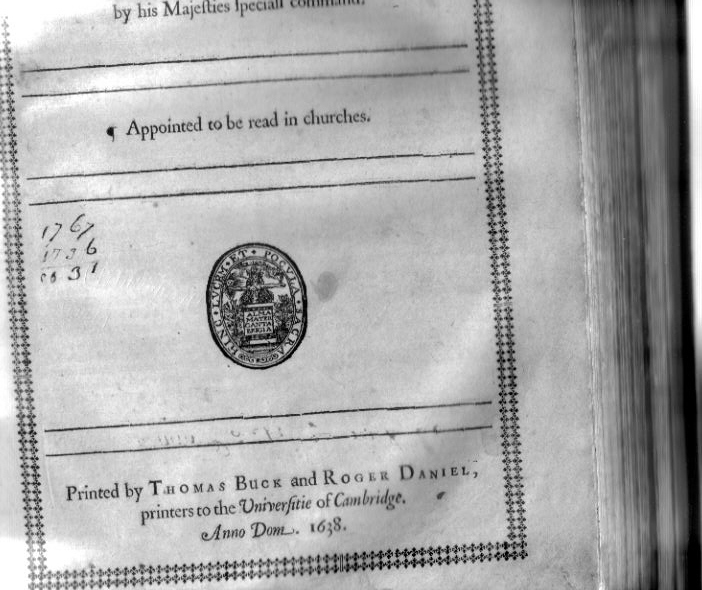 I have found that the Cambridge large print editon is the best in this regard. In the Oxford ( e.g.Scofield) there are a few places where a lower case is used, but it never disturbes theology. Mat. 4:1, I believe, is the only place that could cause confusion; however, since it is a parallel passage, any thorough Bible reader will see it correctly capitalized in its parallel passage. Schaap is grasping at straws to discredit the KJB. Only God knows his motives. It is a truly diabolical intrusion into fundamentalism. Please feel free to pass this e-mail on to anyone that it might help. Schaap's serious error must be exposed and the word of God glorified. I hope this has been helpful. Please let me know if you have any further questions.